The MixMaster™ series of composite baffle tanks are a superior alternative to traditional contact tanks found in many water treatment systems. MixMaster™ tanks utilize a patented internal baffle and diffuser system that redirects the treated water through a series of internal chambers. This unique baffle design creates turbulence which boosts the mixing of water and injected disinfectants such as chlorine or ozone, while nearly quadrupling the contact time compared with a standard contact tank. 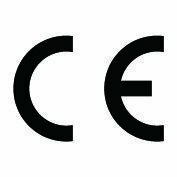 Rigorous third-party testing by the Water Quality Association have confirmed MixMaster™ tanks are capable of increasing water retention times by a baffle factor of 0.6. 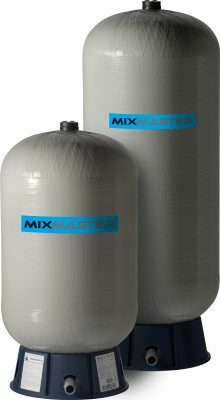 MixMaster™ baffle tanks, a safe and reliable way to disinfect potable water. MixMaster™ tanks are suitable for a range of potable water applications including hospitals and other buildings where standardized cleanliness of drinking water is required. Typical applications include settings where primary disinfection (involving initial disinfection of water at its point of source) and residual maintenance (where water continues to be protected from downstream or future contamination) are required. Available in 300L and 450L (80 gal & 119 gal) models, MixMaster™ tanks ensure uniform mixing and sufficient retention time to meet stringent contact time standards set by most health agencies, including the USEPA. Fewer tanks are required to maintain a 4-log treatment and a 20 minute contact time, meaning fewer tanks are required, less installation space is needed and quicker installation times can be achieved. New baffle design ensures uniform mixing and exceeds health agency contact time standards, true even when water is flowing continuously.